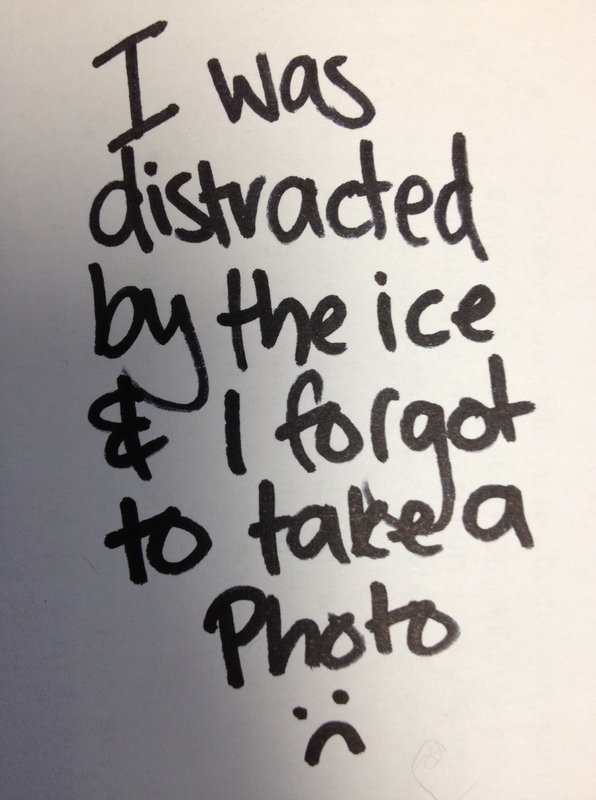 Question: What do you get when you mix forgetfulness and impatience? Yes, it’s often the case that two of my less-than-desirable qualities team up to produce beer popsicles, impatience putting the beer in the freezer in the first place, forgetfulness ensuring it turns solid. Usually when this happens I just declare it a loss, throw the beer out and put something else in the freezer (this time setting an alarm on my phone), but with this one I had two reasons not to do that. For one, it wasn’t frozen solid – It was at that slushy stage where you can actually pour it – and two, it was a motherflippin’ Sierra Nevada Barley Wine! By the time I drank the beer it had melted, but it was still really cold – about the temperature that most bars serve their lager. Now, usually I like my beer at a toasty 10 degrees so that I can actually taste it – but I gotta say, there was something really nice about having this big sweet beer so chilled. I wouldn’t usually describe a Barley Wine as refreshing, but boy, was I refreshed! Also, this is probably a great beer at every temperature. 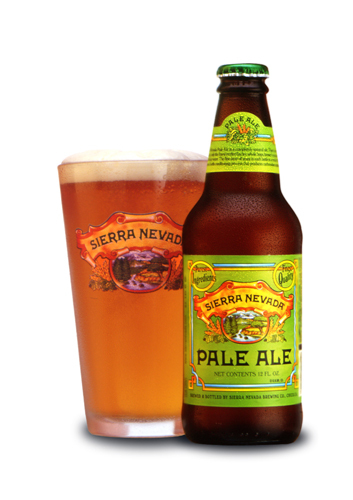 It had masses of classic Sierra Nevada hop aromas – bitter grapefruit pith and pine, as well as something a little sweet and juicy. In the mouth it was thick, chewy (and of course, slightly icy) with lots of toffee caramel malt cushioning the hops and booze. Apologies for the worse-than-usual photo. I was in a darkish bar and it was the best I could do. The darkish bar was Little Beer Quarter in Wellinton, which I’d been hearing the beer geeks rave about for months but hadn’t actually been to before Friday. Now I can see what they were on about. It has an awesome selection of beer both in bottles and on tap, a cheery, bustling atmosphere and a comfortable living-room vibe about it. I didn’t make any notes as I was too busy shouting with my friend (it really was loud in there), but I remember it had a strong, pine resin and citrus hop flavour with a toffee malt backing. The finish was prickly and bitter, which made it quite refreshing despite it’s high ABV. After that I went on to drink a Tuatara APA, two Epic Barrel-Aged IPAs (at a party, not LBQ), and a Little Creatures Pale Ale. I didn’t have any dinner, and needless to say I was on the blinder side of drunk at the end of it. This was obviously very stupid and I will never, ever do it again, but it wasn’t completely terrible at the time. 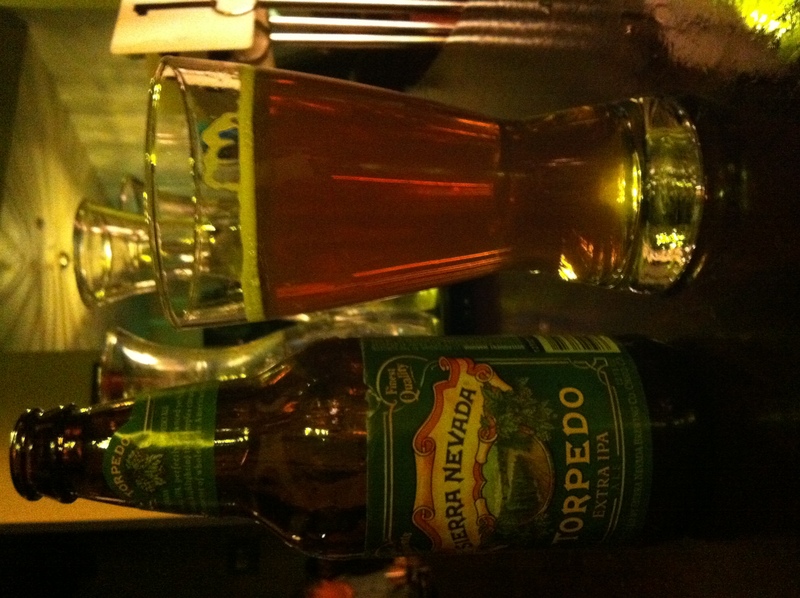 *UPDATE: It has been pointed out that Torpedo is in fact, only 7.2%. In which case, I blame Epic for the hangover. It’s been a very sloppy weekend of belated blog posts and missing photos (my phone ran out of battery so I couldn’t take one of this beer), but rest assured I DID keep up with the drinking requirements – exceeded them beautifully, in fact. Saturday’s beer (one of them) had been on my mind all day. In the morning I visited my first ever brew shop (the wonderful Brewers Coop in Penrose, Auckland) to shop for ingredients for my first ever homebrew – which will (hopefully) be a slightly hoppier clone of Sierra Nevada Pale Ale. It may be a bit ambitious trying to clone such an excellent beer for my first ever attempt, but I figured that if I just have enough Cascade hops (delicious fruity/grapefruit hops that are used in SNPA) in my brew, then surely I can’t go too wrong. Right? I caught the train back from Penrose with the delicious smell of hops was wafting from my bag (and for the dodgy looks I was getting I’m pretty sure people thought it was something else), which bought on a uncontrollable urge to drink an SNPA. And later that evening at Galbraith’s (which has become my favourite place to watch Rugby), I did. It poured a bright, clear gold with a finger of white head, and smelled of those lovely Cascade hops – citrusy (especially grapefruit) and flowers. On the palate there was a hint of caramel sweetness, a hint of hoppy bitterness – but it was altogether really clean, bright, and well balanced. It’s so quaffable (especially after the IPA I’d had before it) and if it were a bit cheaper then I’d happily drink it all night. Luckily I’m going to have 20L of my own exact replica to get through soon – which will work out at around $4.50 per litre once I factor in the ingredients. Why oh why didn’t I think of doing this sooner!? !